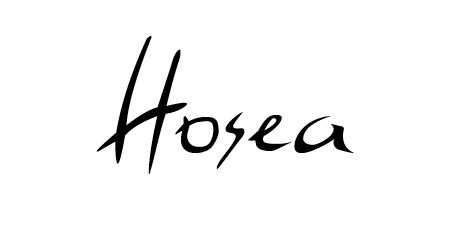 Hosea is the perfect opening book for the minor prophets because it clearly shows the relationship between the redeeming power of God and the radically depraved nature of man. If you read through this book in one sitting (you should, it is very brief), you come away wondering, “Why did God command Hosea to take Gomer to be his wife?” For goodness sake, Hosea is a prophet of God and Gomer is a prostitute. This is not the marriage Christian parents would encourage their children to mimic. What if I told you that Hosea was actually doing this in order to show God’s people who He was and what He was like? A Marriage Flawed from the Start. Unlike the other prophets, God does not give Hosea a verbal message to his people. Instead, God instructs Hosea to go and do something–specifically, take a prostitute to be his wife. Why did God use Hosea like this? In Hosea’s ministry, we realize that being a prophet is not just about declaring who God was through words. Prophets also demonstrated God’s message through certain actions. And what message is God proclaiming through Hosea’s bizarre marriage? Who He is and what He is like. Initially, we see that God is a God who is in intimate relationship with His people like the marriage of Hosea and Gomer. The best picture of God’s relationship with his people was marriage. However, Hosea is not married to a woman of integrity; Gomer is a woman of the night. The implications of marrying a whore are pretty grim: As soon as you take her to be your wife, she will leave you, cheat on you, love other men more than you, find her satisfaction with others, lack appreciation for you, and make you the biggest punchline in the whole town. This last point really gets overlooked. Just think about it. You are a known prophet of God; you are respected and thought to be favored by God. And then you marry the town prostitute? How does this show us who God is and what He is like? Something about the horrible pain Gomer will cause Hosea in this marriage will show him what it’s like for God in his relationship with His people. Until Hosea feels the pain of being utterly humiliated by the one who is supposed to love him and care for him, he will not understand the heart of God. Here’s the thing: To truly know God, you must personally experience Him. How many times have you heard people talk about God’s love and forgiveness, our sin, Jesus, and the Gospel–and felt nothing? How often have you comprehended those phrases or words, but failed to personally know what they mean? The danger we constantly face is that we turn who God is into propositions and blockade any chance of having personal experience of the God who interacts with you. The Reformed tradition is wary of mentioning concepts like “experiencing God” because it fears elevating experience/emotion to (or above) the level of Scripture. This is a valid concern, but unless you have personal knowledge of who He is and what He has done, you are like a person who can say, “Yes, sugar is sweet…” but don’t know what sweet truly is. Next Post Why Did Jesus Curse the Fig Tree?